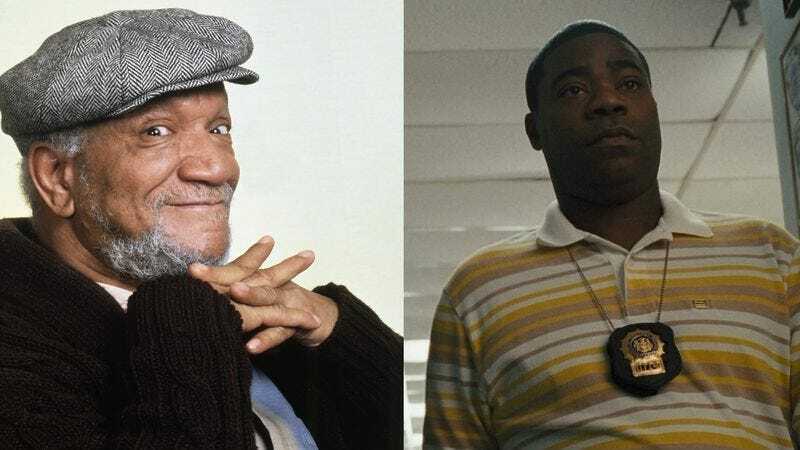 Adding yet another name to the list of prominent black celebrities—including Eddie Murphy, Oprah Winfrey, and Empire’s Taraji P. Henson—attached to his upcoming biopic of comedy legend Richard Pryor, The Wrap is reporting that Lee Daniels is in talks with Tracy Morgan to make an appearance in the film. Morgan—whose return to Saturday Night Live last month marked his first major comedy gig since the car accident that almost killed him last June—would play Redd Foxx, one of Pryor’s stand-up heroes and biggest influences. Foxx’s life and career in some ways served as a template for Pryor’s own: A brilliant stand-up comic, his career peaked in the ’70s with Sanford And Son before drug addiction and battles with the IRS served to drag him down. In Daniels’ film, he’ll apparently appear as a mentor figure to Mike Epps’ Pryor, inviting him to “open up in his act and embrace his culture.” It’s not clear if Daniels’ movie will also cover the filming of Harlem Nights, in which Pryor, Foxx, and Eddie Murphy all appeared, or whether the temporal paradox of someone playing a young Eddie Murphy in a movie co-starring Eddie Murphy would cause the whole thing to collapse in on itself.